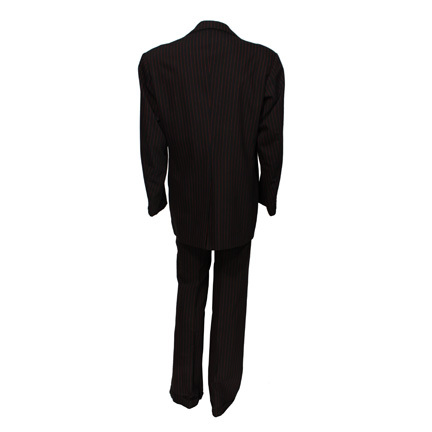 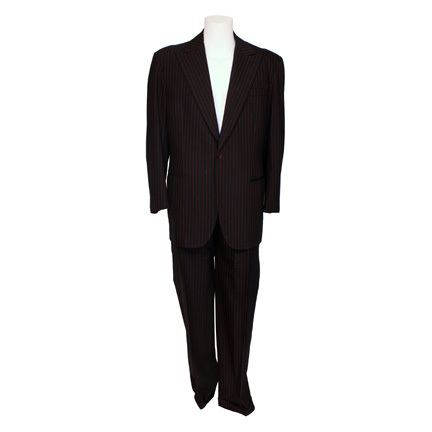 This single button black suit with red pin striping was worn by the character “Gomez Addams” portrayed by late actor Raul Julia in the 1993 motion picture “Addams Family Values” starring Anjelica Huston, Christopher Lloyd, Joan Cusack, and Christina Ricci. 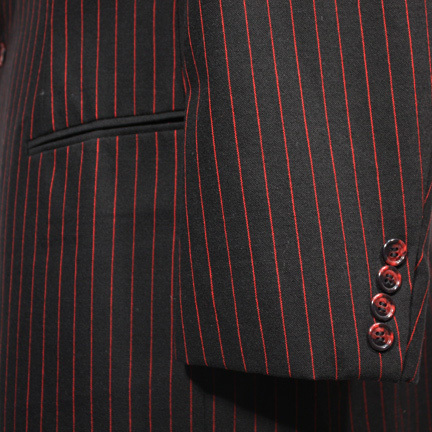 The suit consists of a peaked collar jacket with red satin lining and a matching pair of high-waisted cuffed pants. 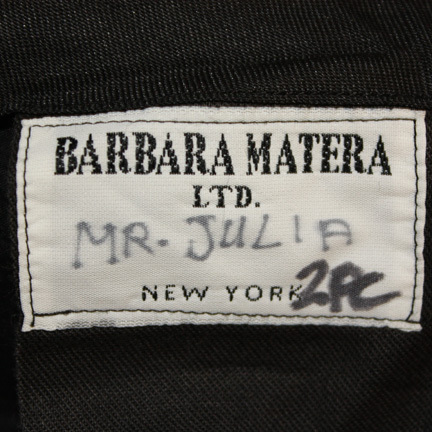 The outfit was custom made for Mr. Julia’s use in the production by Barbara Matera Limited and is complete with the original tailor’s tag with the name “Mr. 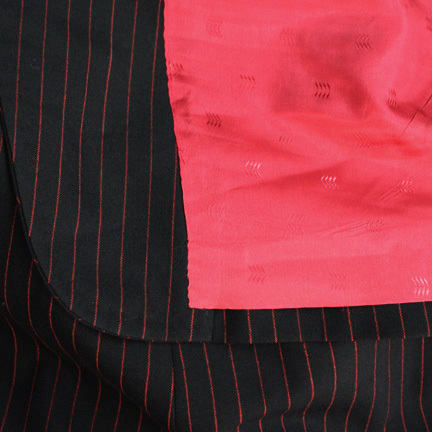 Julia” clearly written in black ink. 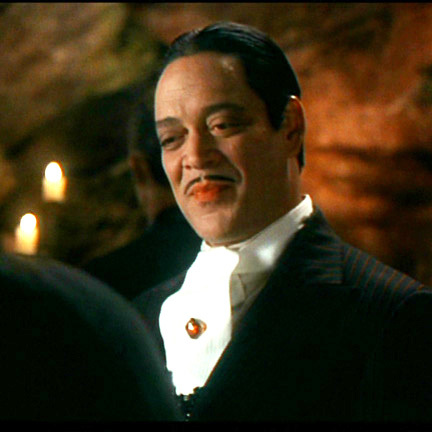 Mr. Julia wore the suit during the sequence where Gomez and Morticia (Huston) go out on a double date with Uncle Fester (Lloyd) and Debbie (Cusack). 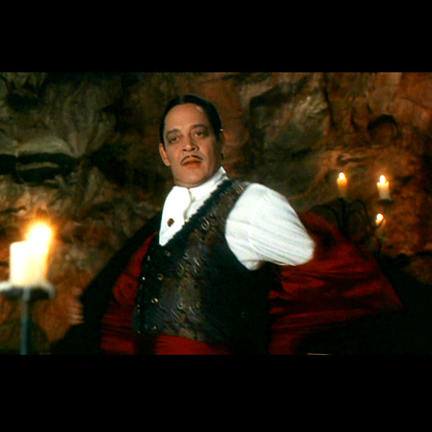 Gomez attempts to educate Fester in the art of romance and as a demonstration throws off his jacket and performs a show stopping dance number with his wife Morticia that was a highlight from the film. 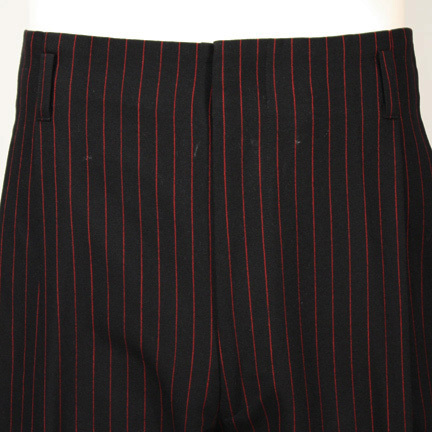 Both garments are in excellent screen worn condition and are accompanied by a letter of authenticity. 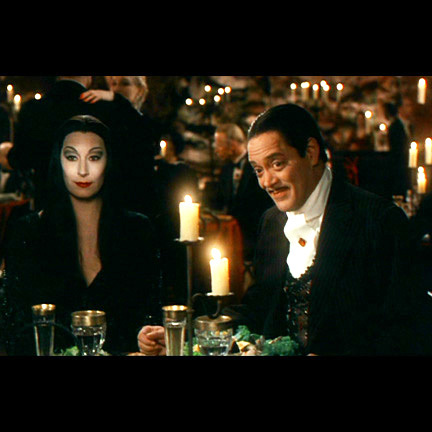 “Addams Family Values” won an Oscar in 1994 for Best Art Direction – Set Decoration and Theoni V. Aldredge was nominated for Best Costumes by the Academy of Science Fiction, Fantasy, and Horror Films for her exceptional work on the production.